We need guns to keep us safe from those that would do us harm. Agun is an inanimate object. When was the last time an inanimate object used its free will and hurt you Sally? What was it , how did it happen, when did it happen and where did it happen? Do you have witnesses to this empirical? If nothing has happened and you cannot prove anything happened, then who is the dummy? If a tree falls in the woods, does it make a sound? How do you know? did you hear it? 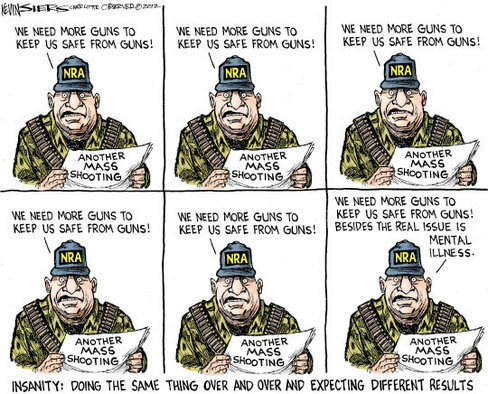 We need guns to keep us safe from other people with guns. Sally, you are the one that is brainwashed.